Whether you're a student or an educator or parent, we have the study guides you need for A+ relationships! It's that time of year! Back to School means coming back to relationships too. How will you make your relationships A+ this year? Let Break the Cycle help! 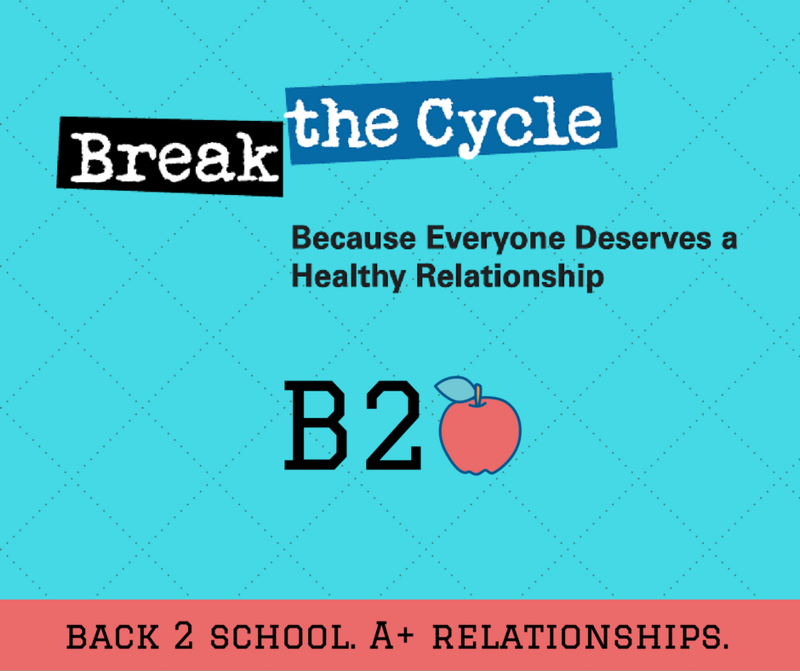 We've got some brand new resources to help YOU spread the word on healthy relationships. Check out our fact sheets, learn why LGBTQ inclusivity is important, or read up on consent and healthy relationships. Feel free to download, print, and share with your friends, school, and community! View our student materials HERE and our adult materials HERE.